With the global economic downturn subsiding, the next two years or so are expected to usher in a recovery phase, there is a silver lining amid the dark clouds on the horizon that hints at better times just round the corner. Markets are slowly going in the growth phase and instead of the usual pink slip news, companies have gradually started hiring. This situation is ideal for job seekers who were in staying put during the downturn and are now looking for new opportunities. However, it will be best to take the next career decision while keeping the following aspects in reckoning before making your golden leap. Analyze whether your current industry is going to grow slow or boom post recession. If the answer lies in the prior category, search for similar or enhanced roles that align in industries expected to grow in the near future. Actively research and map your career graph in two or more high growth industries and select the one that better aligns to your interests and strengths. The recent downturn has distinctly bracketed companies in to three categories – non serious, serious but unhealthy, and serious and healthy. While the first category is already out of business, the second category of companies is grappling with the reality of the situation. However, the clear winners are the companies who are serious and are with a healthy business model. Companies with sound growth strategies, cost optimization solutions, steady cash flow cycles are the ones that have been able to weather the storm. These are the ones to be looked at as a potential employer. However, be wary of companies that have massively laid off resources during the recession. In any business environment, employee layoffs are essentially a function of business restructuring and people performance. Nevertheless, there have been several layoffs due to poor cash flows and unplanned growth. It’s wise to stay away from such companies. We also witness a slew of M&As as a lot of business consolidation is underway. Companies diversify to reduce their risk and consolidate their market leader positions. Effectively, before committing your services to any organization find answers to a list of questions such as market positioning of a company, pre- and post-recession growth cycles, employee perspectives and the business potential of the company. This will give a clearer picture if the company is well structured and functionally sound to usher to the next orbital of growth. The onset of recession made us understand the importance of continuous improvement of our skills. During recession a majority of finishing schools witnessed huge rush of applicants from both junior and senior industry professionals. Don’t wait for the next recession to up-skill yourself. Continuous learning to up-skill is a key and is sure to add value in the long term career path of an individual. 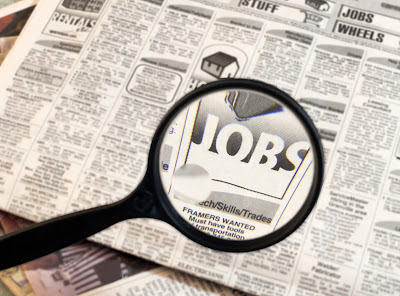 Break away for the traditional job search channels such as job boards and newspapers. Test the strength of your network and actively use social networking sites for assistance from your old friends and colleagues. This will help you tap hidden job markets and employee references add weight to your resume. Moreover, you will be privy to more intricate details about the company, job profile and the culture of the firm. From a compensation point of view, individuals can expect a 15 – 25 per cent rise in their compensation if they go in for a job change. However, it will be advisable to look at the stock option plans more seriously now as the markets have bottomed out and will only grow from here. This downturn has set up a lot of different benchmarks in the industry. It has forced companies and individuals alike to be pragmatic in good as well as bad times. Though, no one can claim to know the future or know what will unfold in the time to come, it will be best for employees to tread the path of continuous learning, taking right decisions on career and keep themselves abreast with upcoming industry trends.